Not on the Soul bandwagon yet? With the team defending its ArenaBowl title here in Philadelphia at the Wells Fargo Center on August 26th, this may be the time to jump on! There is no shame in becoming a new fan, but in case you don't want to sound like a newbie, here's a brief look at the team's history - everything a Soul Superfan should know. July 10, 2003 - Jon Bon Jovi and Craig Spencer, along with minority owners Ron Jaworski, Richie Sambora and Leo Carlin Jr. get approval from the Arena Football League to create a Philadelphia team. February 14, 2004 - The Soul, led by coach Mike Trigg, kick off their first season against the New Orleans VooDoo, losing 42-34. The Soul finish their debut season 5-11, missing the playoffs, but leading the AFL in average attendance with 16,851 people per home game. 2005 Season - Soul acquire quarterback Tony Graziani, giving him the largest contract in league history. Mike Trigg is let go after a slow start. Under interim head coach James Fuller, the team finishes 6-10. 2006 Season - The Soul finally make it to the playoffs under new coach Bret Munsey's leadership. In the Wild Card Round they beat the Austin Wranglers 52-35, but then lose to the Orlando Predators 31-27 in the Divisional Round. 2007 Season - The Arena Football League's playoffs come to Philadelphia for the first time as the Soul host and beat Orlando in the first round. That win is followed by a trip to Atlanta, and a 65-39 loss to the Georgia Force. 2008 Season - Injuries sideline Tony Graziani and Matt D'Orazio steps in to lead the team to a 13-3 record and a first round bye in the playoffs. 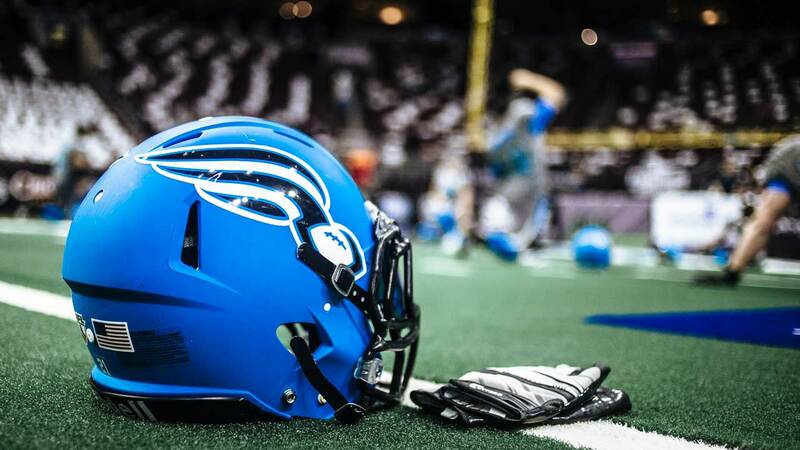 A win over the Cleveland Gladiators lands the Soul in their first ever ArenaBowl against the San Jose SabreCats. The Soul win their first title 59-56, and D'Orazio is named ArenaBowl MVP. 2009 - 2010 - Financial issues force the suspension of the 2009 season for the entire league, and the Soul do not play in the 2010 season. Off the field, the team makes front office moves as Ron Jaworski and Craig Spencer become majority owners and Pete Ciarrocchi, Cosmo DeNicola and Marty Judge come in as minority owners. 2011 Season - The Soul return with a 6-11 record. 2012 Season - Doug Plank is named head coach and leads the Soul back to the ArenaBowl with a 15-3 record. Unfortunately, that is where they collide with a strong Arizona Rattlers team, and lose 72-54. 2013 Season - Clint Dolezel comes to town as head coach and takes to Soul to their second straight ArenaBowl, and unfortunately, their second straight loss to Arizona (don't worry, revenge is on the horizon). 2014 Season - Soul go 9-9 and lose in the first round of the playoffs. 2015 Season - The Soul go 16-4 after winning their first 10 home games and then lose the American Conference Championship to the Jacksonville Sharks. Eight players are named to the Team All-Arena and quarterback Dan Raudabaugh is the league MVP. 2016 Season - After finishing 13-3, the Soul roll through the playoffs and win their second ArenaBowl title, by beating the Arizona Rattlers 54-42. The City of Philadelphia celebrates the championship with a rally at City Hall. 2017 Season - The Soul go 13-1 in the regular season, outscoring their opponents 817-590. They advance to the ArenaBowl with a 69-54 victory over the Baltimore Brigade.